Single parenting is all about planning and thinking ahead. 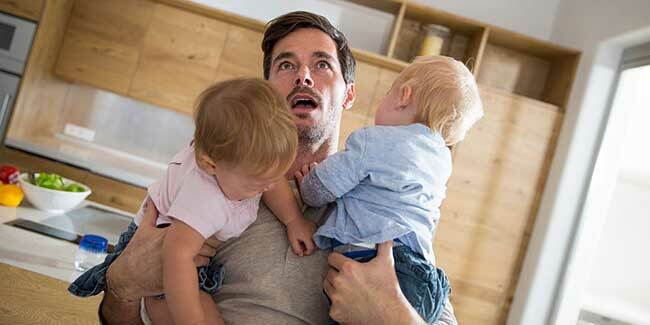 Single parents raising twins are often stressed. The important thing here is to take help from friends and family. Raising twins would also require you to save money. Raising twins is certainly a difficult task for parents, especially for single parent. It could be one of the most challenging things, raising twins as a single parent is indeed no cakewalk. But we are here to make things easy for those single parents. 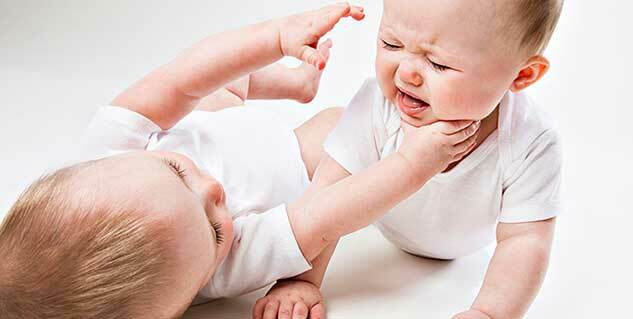 Parenting twins require a systematic approach, and some very good thinking. Above all, one should get moral support from friends and family. The approach is all it matters here, more than the actual thing. When you have your mind set to it, you can very well get to it easily. So preparation is the key in this regard, and planning is for best. A single parent raising twins will definitely face some problems, but it should be easy once you go through this article. Do not worry about being outnumbered, fight the good fight! Now that you have two children to look after, the best way to go about it is to be prepared all the time. Your car, your workspace, kitchen, bedroom, ever place should be stocked up with items your children would require. So this means from extra diapers, to extra feeding bottle, or even extra pairs of clothes. You have to be ready all the time, because really, parenting twins can be a task! This is required for your basic survival, and to make your own life easier, so why not. Like said before, raising twins would require help from friends and family as well, so do reach out. If you have friends and family nearby then do not hesitate to take their help. They can indeed make your life much easier. If you need to go out of your home for half an hour, then ask them to help you out, if you need some baby-sitting then ask them to help you out. For a single parent raising twin you have to come to terms with the fact that you are going to cut down on your social life, so if you really have to get someplace then you need the help. Seek out help from your own parents, cousins, best friend, anyone, but the point is to take help. Raising twins as a single parent require money, and unless you are a millionaire, we suggest that you start saving money. You could make small changes, like buying stuff in wholesale so it gets cheaper, or saving some gas money, not using the car very often, etc. Most importantly, you have to look towards your little angels and think about their future, so that is most important. Therefore, start saving for their education and other expenses. You also might have to cut back on your personal luxuries, so a little sacrifice might be required, but nevertheless they can go a long way. Hey, parenting twins is after all a big deal, so planning is important. You have to understand that you are the mother and also the father, so you cannot breakdown at any point of time, because otherwise, your children will suffer. Therefore, it is vital to be able to relax. Take out little personal time for your own retrospection and recreation; this is where your friends and family usually come in. Raising twins as a single parent can be stressful sometimes, but you cannot let that take over you. Also, stress is very bad for the health, and you cannot get unwell for the sake of your twins. The best way to cope with all this is to relax and find some personal time, so that you are rejuvenated and at the pink of mental and physical health.